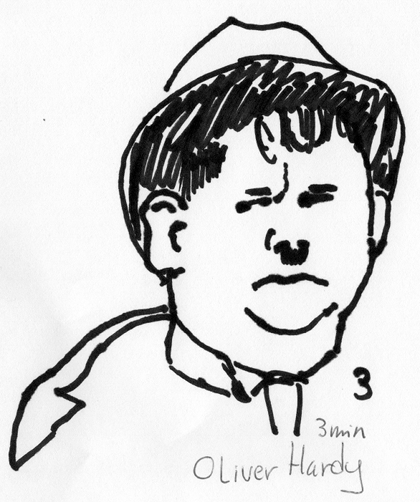 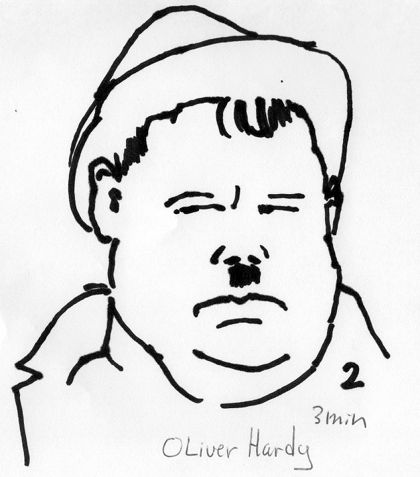 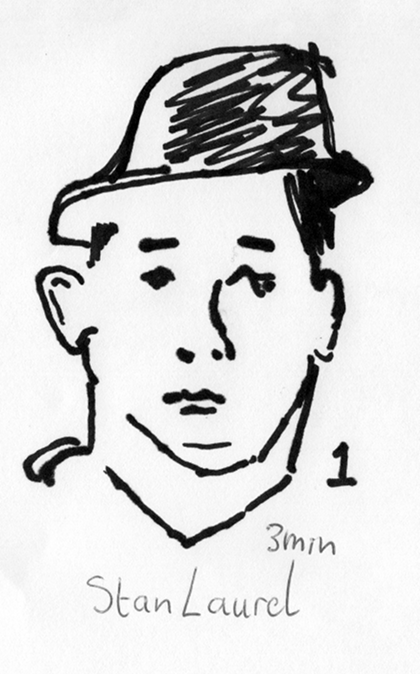 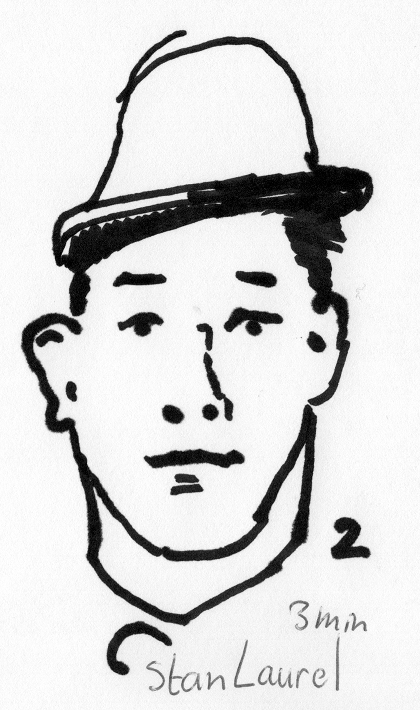 Here are six 3-minutes sketches of Stan Laurel and Oliver Hardy. 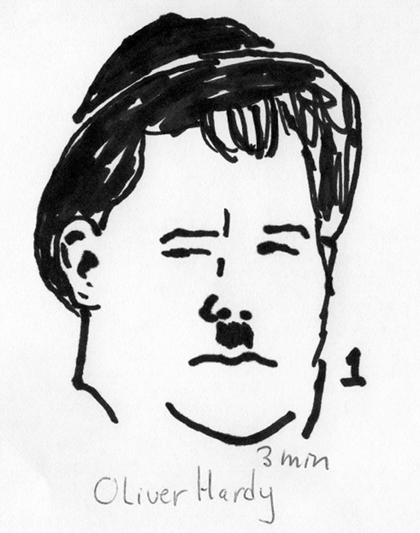 They were each drawn with black felt marker pen on a folded piece of A4 size paper. 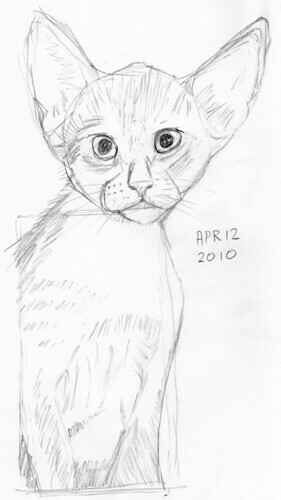 This is a sketch of a cinnamon colored Abyssinian kitten that I bred long ago. 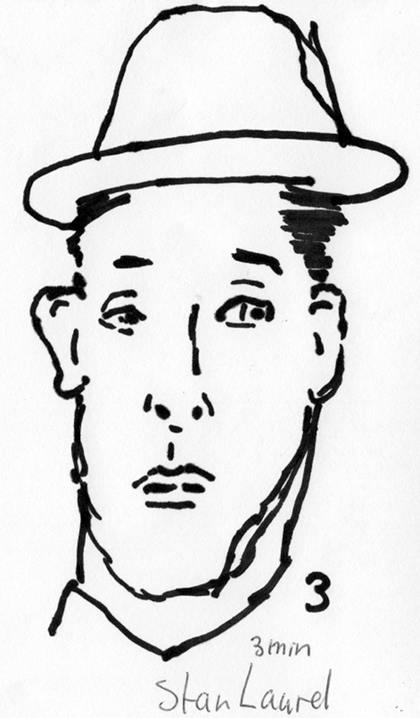 It’s basically a circle on a rectangle that’s one circle wide and two high.